The major focus of its application is to find the stiff muscles or pain points and focus on those areas over and over again. Sometimes, herbs and oils are added to the body in order to facilitate healing such as a muscle relaxant. The same can be applied to acupressure points and energy meridians as well. Sometimes, the client can experience a lot of pain especially when the body is not accustomed to Tui Na. The deep penetration spots can cause their pain receptors to react. This is quite normal actually – similar to foot reflexology, when the portions of the body or foot is barely massaged before, the tolerance for deep tissue kneading and rubbing is rather low. A typical Tui Na session can last from 30 minutes to up to three hours depending on the needs (or the budget of the client). Of course, longer sessions are highly recommended because it will give more time for the practitioner to work on the sore areas a bit longer. There are also times when sore muscles can be opened up further and will result in even more pain the next day. But this is a necessary process as the muscles are being stimulated. The pain will go away as the healing will come much faster the following day. 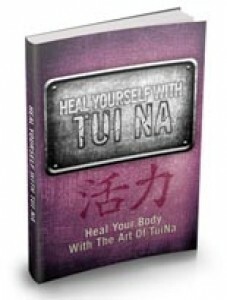 Tui Na can also be combined with foot reflexology, Gua Sha, Ba Guan and ear candling.